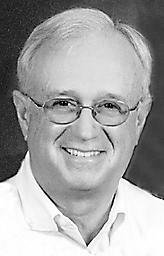 Robert A. Frank, 63, of Marietta, husband of Terry Frank, died on Thursday April 17th at Hospice and Community Care, Bob Fryer and Family Center, after a yearlong illness. He was the son of Jack H. and the late Margaret A. Frank of Maytown. Surviving in addition to his wife and father are two daughters, Katie and Spencer Frank, a brother, Jack C. Frank, married to Bonnie Frank, and a step daughter, Jodi Eckert. Bob was a 1968 graduate of Donegal High School and attended York College. He retired from Wyeth Laboratories in 2004 after 35 years of service. A U.S. Navy veteran, he served as a radioman aboard the destroyer USS Leary in the Mediterranean during the Vietnam era. Bob was an accomplished percussionist with several bands including the Bainbridge Band, the New Holland Band, Ceol Neamh Pipe Band, the Kiltie Band of York and the British Brass brand. For 25 years he served with distinction as a licensed guide at the Gettysburg National Military Park. He was licensed in June of 1989 and was awarded badge number 65. F. & A.M., and was a member of both the Lancaster Lodge of Perfection, and the Harrisburg Consistory. Among the various masonic organizations he was known for his exceptional ceremonial degree work and often served as a mentor/instructor in that capacity. Throughout his active involvement with numerous organizations, Bob was always well loved and respected by everyone and many of his friends became like extended family.